Ticket, agent and department summary views help you find what you search faster. Tickets have both stacked and datagrid views. Using ticket datagrid view, you can sort, search and export selected tickets to multiple formats including but not limited to CSV, PDF, MS Excel. Ticket, agent and department stacked summary views only include essential information and are linked to to their corresponding detail views. 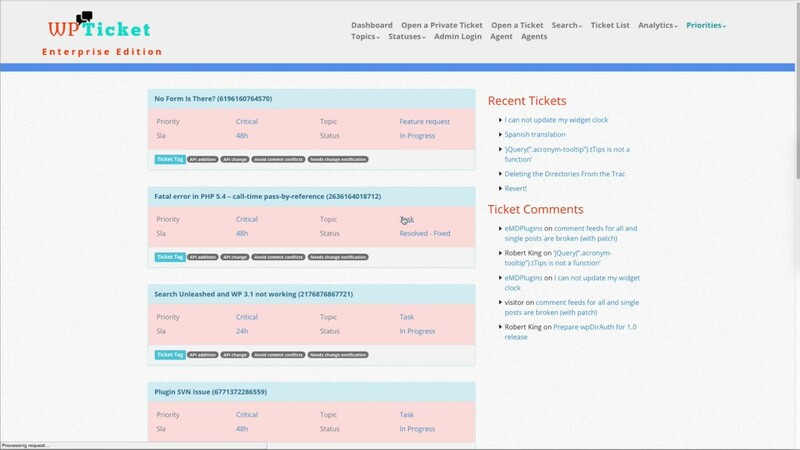 Both stacked and datagrid ticket views include contextually colored tickets in the front-end and admin area.